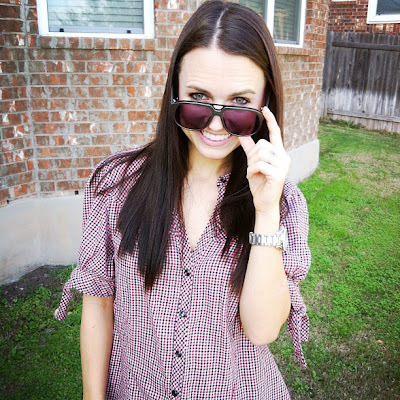 Today I am bundling up and happy as a clam because it is finally cold in Austin! It's laughable because yesterday was 80 and today is 40. Love this bipolar weather. Anyway, I covet your prayers today for my mama who is getting her precious little bunions removed. Yep double bunny surgery...one of the worst surgeries there is. Ouch. She stays the night tonight and is home tomorrow...it will be a long recovery but worth it for her. Now that we've talked about my mom's feet, I'll fill you in on what's been going on in the Hart household. We are in full on Christmas mode. Christmas music, lights, all our gifts wrapped and under the tree. This weekend we put the finishing touches on decor (which I hope to photograph and show you soon), bought gifts for our sponsor children, and purchased the most awesome Christmas worship album here (you should too). We went to a smore party, a Christmakkuh party, and had a great night out with new friends. Weekends are just a little bit more fun around the Christmas holiday and I'm excited we have two more. 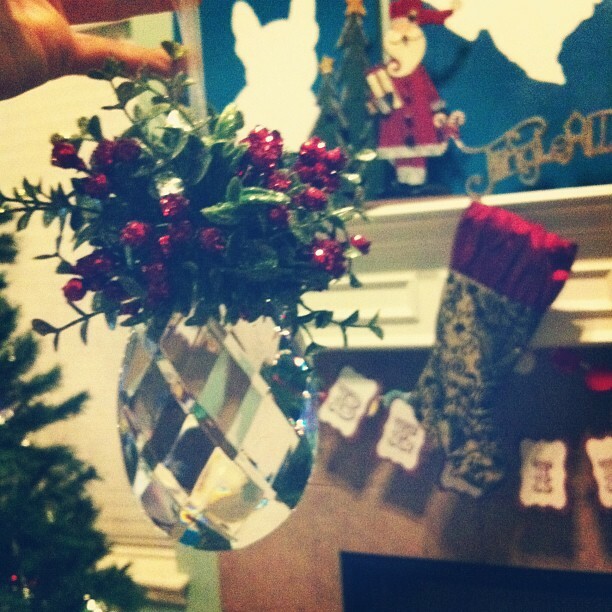 This is the first year to use our Christmas Kissing Ball/Mistletoe. My mom gave it to us last Christmas and I have been looking forward to putting it up (she and my sister both have one). It is from Hallmark and although I couldn't find it on their website, here is one similar. 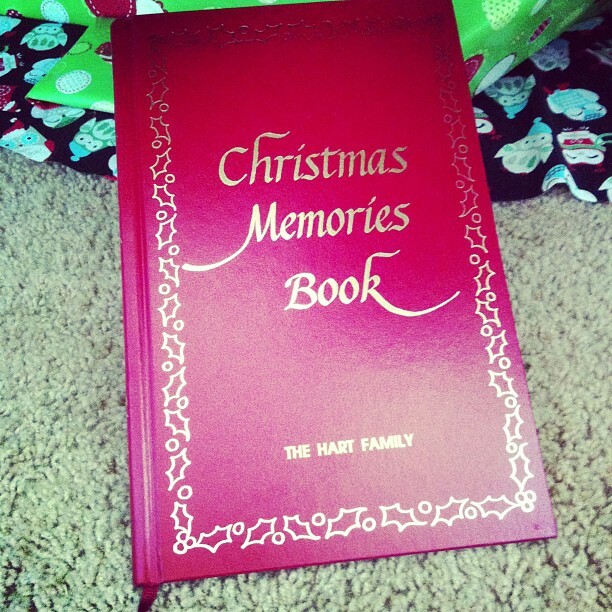 I posted our Christmas memories book on Instagram and lots of you asked about it. My parents have had one since they had children and my sister got it for us the Christmas before we got married. It's super cute and has areas to write about your Christmas eve, Christmas day, visitors, gifts, food, and even pictures. I love looking at my parents from when we were young. My sister ordered it from this website. 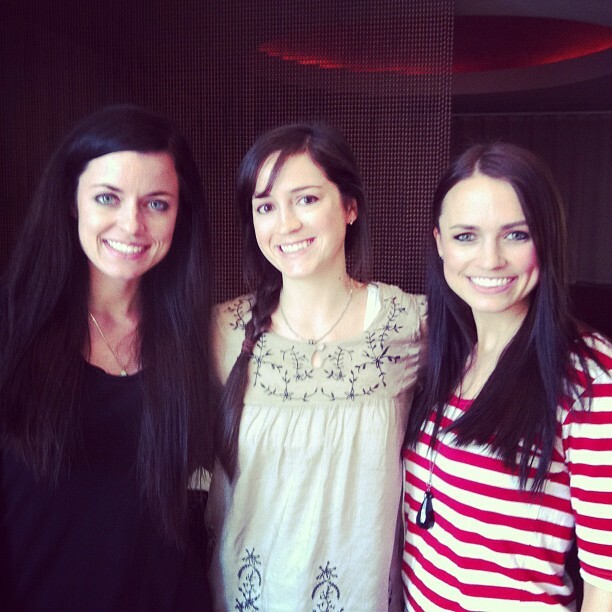 Brunch on Saturday with Jenni and Mallorie to say goodbye to Mal before she moves tomorrow, *tear*. Love these little brunettes. 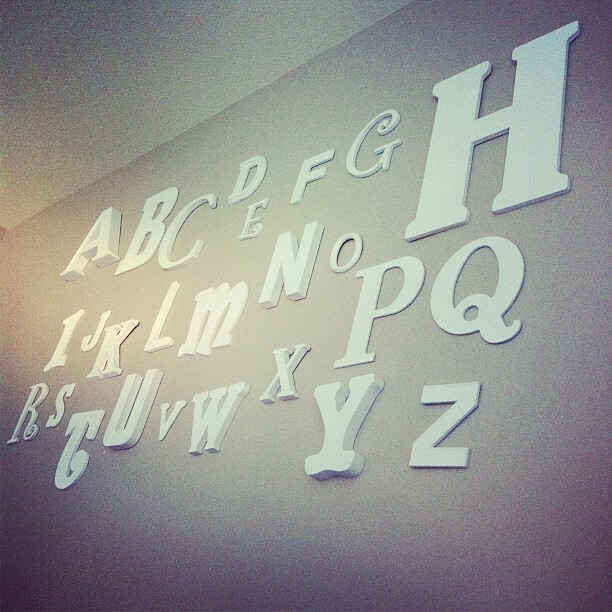 We finally got our gameroom painted and I finally collected all 26 letters of the alphabet for my ABC wall! People were funny when I posted this picture. No it isn't in a nursery. Can't I prepare for future Hart offspring to be super smart? People, people, so nosy! I have been wanting to do this since I saw it on Pinterest over a year ago and have been collecting letters since then. And my favorite part is the H because it is huge! H for Hart. We totally surprised ourselves by staying out til 3am on Saturday at an annual Christmakkuh party. We are party animals, yall. Haha. Funny because I was crawling into bed at 330am I realized the night before I took Ernie out at 3:30a and had been asleep for about 5 hours already. We definitely felt it Sunday but was totally worth it! Firmoo sent me a free pair of prescription sunnies and they are offering a free pair to anyone. Check out the post here. I reviewed the Missiko Hana Hair Dryer last week, check it out here. Thanks for your humble comments on this post about marriage. I posted last week about what it is like to own a French bulldog (actually it was a repost of a guest post I did for a doggie series). I got a few emails that kindly disagreed with us buying Ernie from a breeder. I just wanted to share with all of my readers that Jon and I tried for almost a year to rescue a dog from the French Bulldog Rescue network and had a terrible experience. Not only was it $800 to "rescue" a dog, but the application process was ridiculous (intense interviews, home visits, etc). It was very weird (and sad because we are awesome dog parents!) and we applied for a handful of dogs and never got ones. We have both had rescue dogs in our lives and plan on rescuing in the future but I don't think it is something others need to rebuke people for. Just like rescue dogs, dogs born at a breeder need homes too (and often are treated very poorly by breeders). This isn't a jab to the emails I got, I just wanted to clear things up for anyone wondering. They were all in good nature, I just felt the need to share. 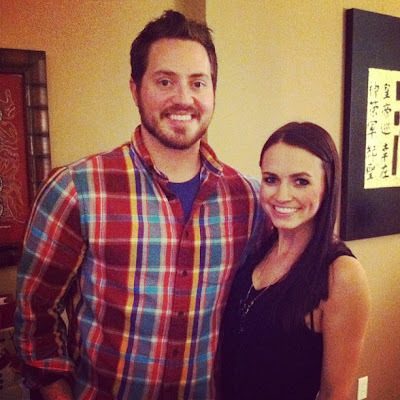 Jon and I also donate to the SPCA and I recently started volunteering at Austin Pets Alive. We love dogs of all kinds...$5,000 dogs, rescue dogs, mutts, pure breds. There is nothing sweeter than an animal getting a home. Johnny Football wins the Heisman! We have been excited to have guys from our alma maters win the past 2 years (RG3 from Baylor and now Johnny Manziel from A&M). Gig em! Hope y'all have a great week. Come back tomorrow for the December group giveaway! I love the idea of the letters for a game room! I hope your mom's surgery goes well! What a cute idea to have that memory book. I may look into that for the future. What do you do at a christmakah party? Mixture of Jewish and Christian traditions? I thought your Frenchie post was helpful! I've never had a dog before, but Tim and I are going to get one this new year! I've had people say that we should get a rescue dog, but I know they can have some issues, and I wouldn't be able to handle that for my first dog lol so we are going to a breeder. More power to those who can get rescue dogs and take care of them, but that's just not me. I hope your mom's surgery goes great!! Praying for your sweet Mama!! Also, the Christmas memory book seems like such a great idea! How fun will it be for your kids to read yours one day! You are way too adorable. And I love all the holiday cheer you're packing into this season. I hope God continues to richly bless you guys. Adorable photo of you with the sunnies. So beautiful! Your hair is getting super long! We actually had a little snow here in the Dallas area this morning! Craziness after all this warm weather. But I love it :) I am a cold weather girl for sure. I love your alphabet wall! Super cute. Hey girly, I thought I read a long time ago that Blogger wasn't letting you upload any more pics because it said you were out of space. I'm getting the same message :-( What did you do? Are you paying monthly for storage space? Our weather has been odd too. A couple of days ago it was 60 and sunny! Today it was 3 degrees and veeeerry windy when I left for work... and even worse now that its night time. Ew. Love the kissing ball. When I was a child our family had one (in the 60-70's)..ours had a cute elf swinging on a swing suspended from the bottom. I LOVE the alphabet wall! So cute!